Tulum is my spiritual mecca. And by that I mean it’s a place where sipping Mojitos on a white-sandy beach while having your palms read by a local healer is totally acceptable. It’s all about the Yin and Yang, and striking that perfect balance between mindful, eco-conscious travel and blissful relaxation. 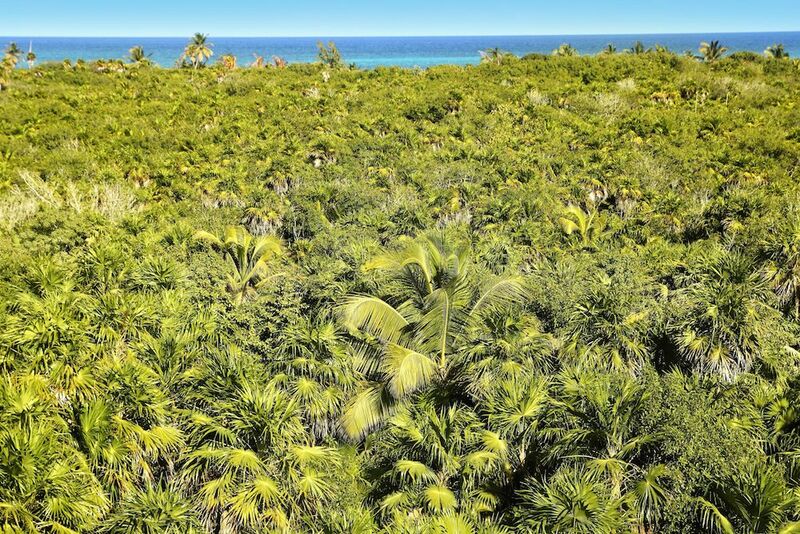 A two hour drive south of Cancun, Tulum is devoid of those rundown all-inclusive resorts clinging like desperate has-beens to the Yucatan Coast. You won’t find high-rises here. 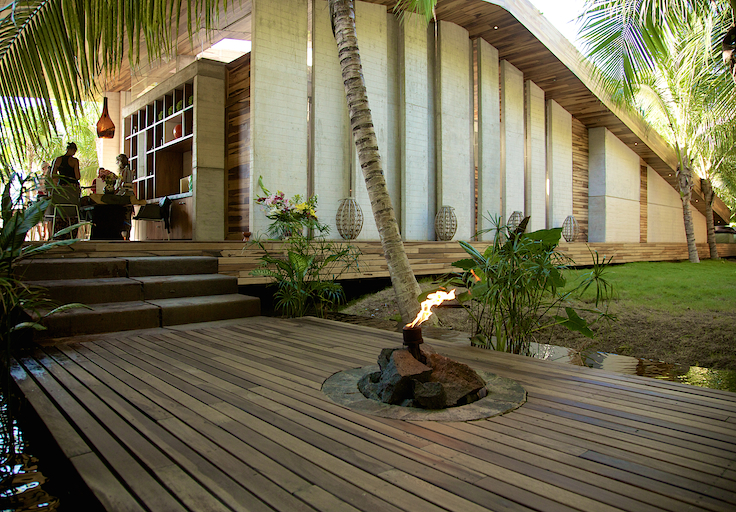 Instead you’ll find boutique beachfront bungalows and healing jungle walks. The Caribbean side of town (which is really just one long pothole-riddled gravel road winding along the beach) attracts the barefooted-brigade of bohemians and imaginative travelers, and yet there’s enough laid-back luxury and gourmet food to appeal to the Gypset who don’t always want to start their sentences with “I’m in the flow…”. 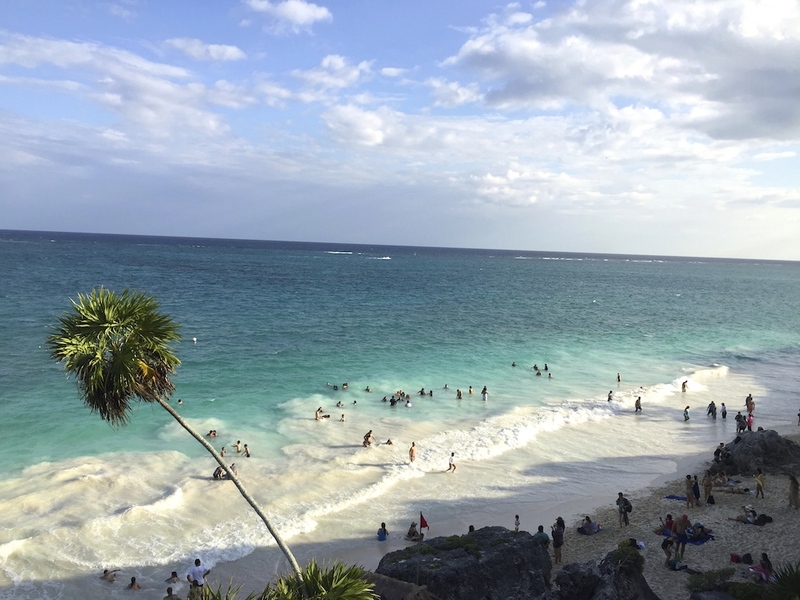 Tulum is famous for its hundreds of underground limestone cave-systems, which house reservoirs full of crystal clear freshwater. Naturally, exploring the subterranean world of these natural sinkholes is an altogether humbling experience and a must do when you’re in the Yacutan. 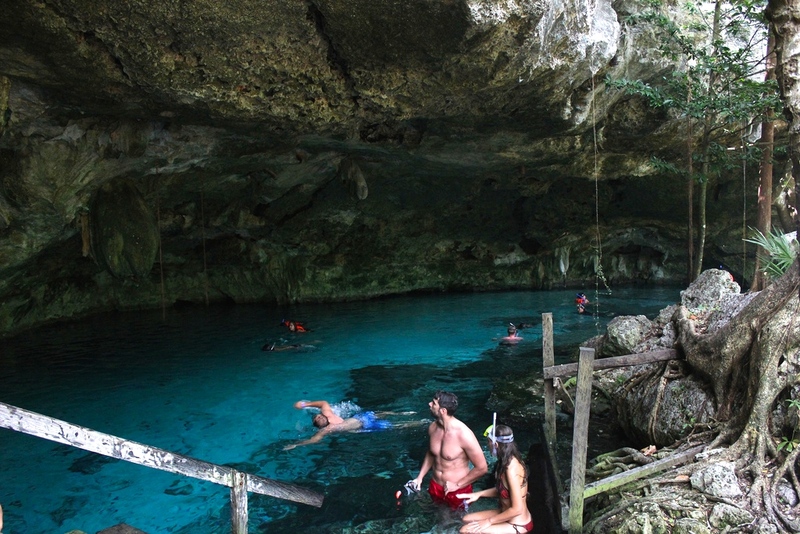 With an aggregate length of nearly 57 km, Dos Ojos is the third-largest cenote in the world, and probably the most interesting in Tulum. You can choose to take a hauntingly eerie guided dive through the blackened caverns which sees you floating past stalactites and stalagmites or you can opt to stay above the water and view the caves from the jagged rocks above. Entrance fee is 200 pesos. For the aforementioned bohemian-brigade, Tulum is said to have a powerful healing energy that draws-in Yogi types from around the world. Nowhere is this exemplified more than at Uno Astrolodge, a gorgeous little commune and healing retreat found hidden among the palms along Tulum’s beach road. 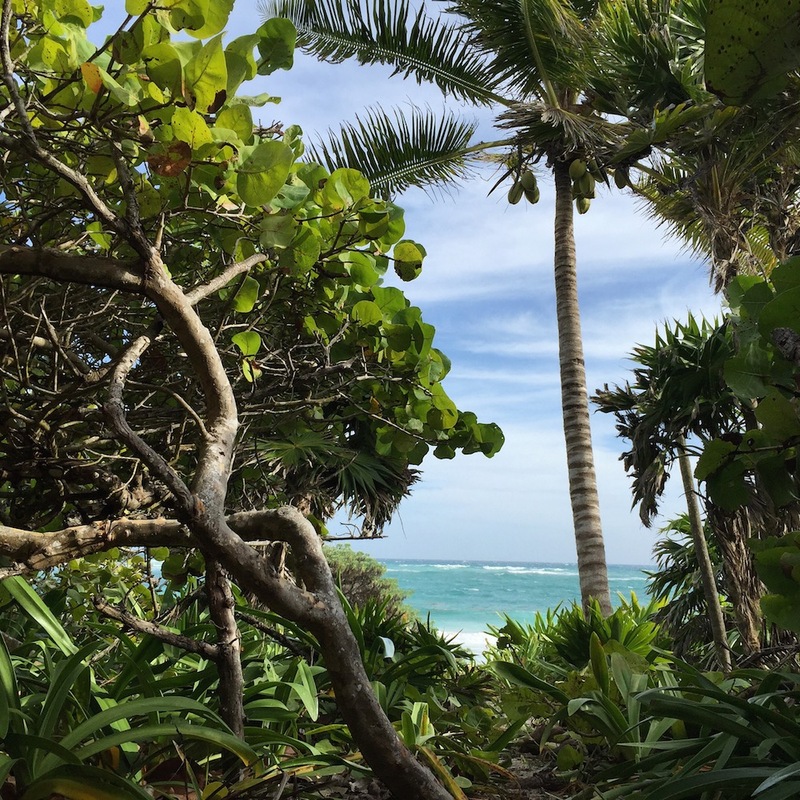 It’s an oasis of calm as soon as you walk inside its inner circle, and with a number of classes ranging from beach yoga at dusk, meditation and Mayan Astrology, you’ll be chanting “my Shaman says” in no time. They may not be the largest in the area, but the location is certainly the most astonishing. This network of intricately built stone pyramids dating back to 564 A.D. was built with sweeping views of the sapphire blue Caribbean below which, evidently, is the perfect spot for a dip after you’ve walked the site in the sweltering humidity. Tulum is the most frequently visited Mayan site in the Yucatan Peninsular so try to get their very early of very late if you’re keen to experience it fully. Entrance fee is about 50 pesos. 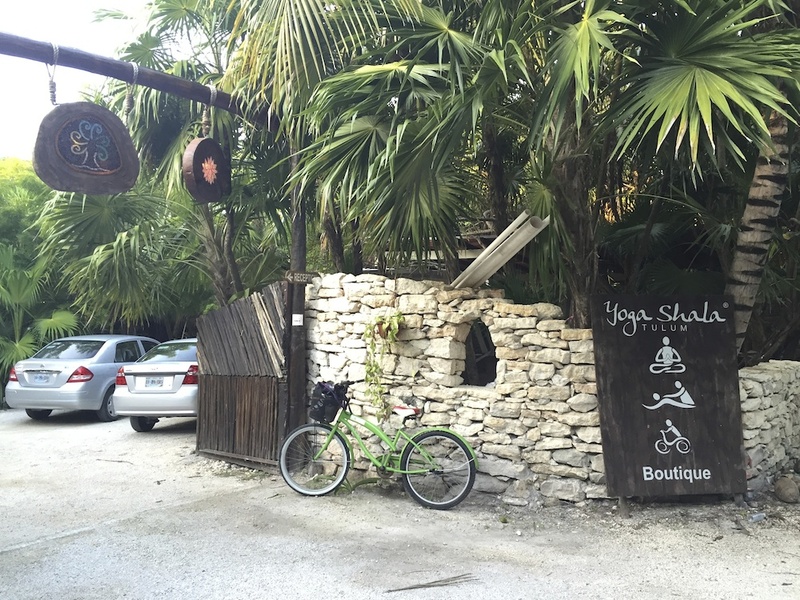 Nestled on the jungle-side of Tulum’s beach road, this yoga studio is perhaps the most relaxing of all the studios within the area. Offering a wide variety of styles and catering to all experience levels, turning up to a class is a refreshing start to the day. Each class will set you back $15 USD. It’s a testament to Mexico’s conservation efforts that millions of little Tortugas (or turtles, if you want to be all English about it) still hatch on the beaches and live in the water all year round. You’d think with the amount of tourists eager to snorkel with the creatures they’d have been scared off by now. Entirely not the case, especially in Akumal, a mere 20 minute drive north from Tulum city. In fact, if you snorkel for at least 20 minutes and about 20 meters from the beach you’ll actually find it difficult dodging them. 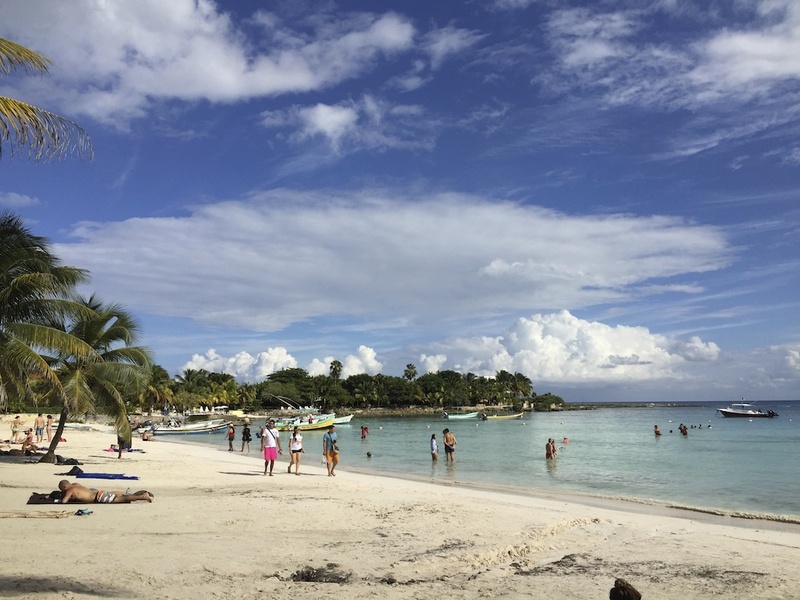 Akumal is a free beach, meaning you can BYO snorkeling gear and swim with the turtles till your heart’s content. I must admit I’m a bit of a connoisseur when it comes to spas. They really round-off a day of decadency spent lazing by the beach downing Tequilas and working on the tan. So you can imagine my delight when I learned Tulum has one of the world’s leading spas which, ladies and gentlemen of the jury, after being pampered like a Queen I would have to agree with. Yaan Wellness Spa has got to be one of the most magical yet high-tech spas I’ve been to yet. From the numerous water-therapies like hot and cold massage pools and the sauna/steam rooms you get to experience prior to your treatment to the gorgeously nurturing therapists, this spa truly is in a class of its own. The only slight problem is that all this magic and healing doesn’t come cheap. Expect to pay about $175 USD for an hour-long massage. 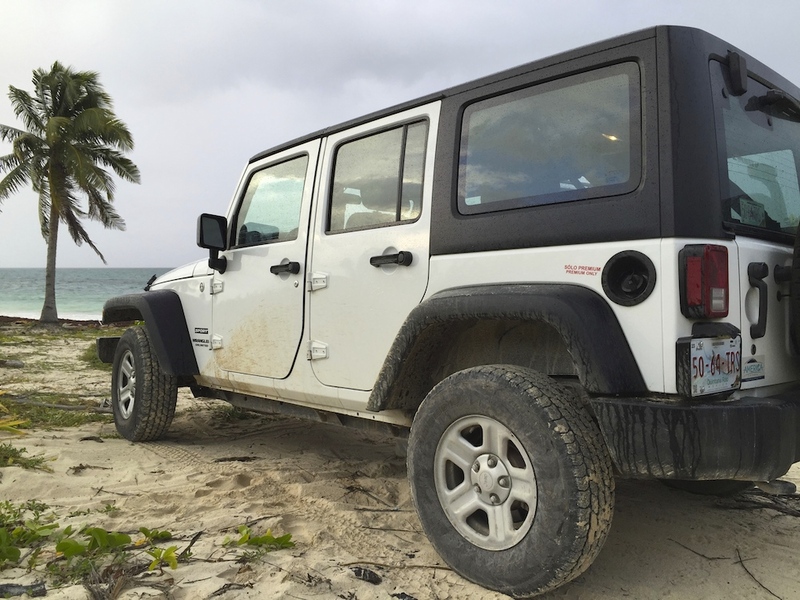 If a little bit of adventure is what you’re after then why not hire a four-wheel-drive and go off-roading in the UNESCO World Heritage site of Sian Ka’an? 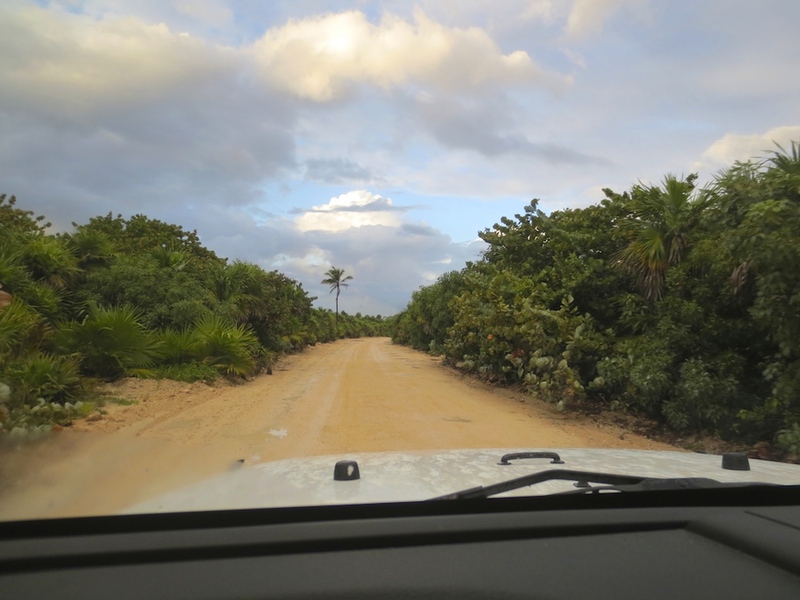 You’ll know you’ve hit the Biosphere when you continue on Tulum’s beach road to the end of civilization and there’s nothing but jungle, potholes and mud from then on. Oh, and the odd Jaguar or four. If you’re a little bit precious about hiring a car you can always take a guided boat tour for 3 hours that runs the length of the jungle. You’ll reconnect with nature and snorkel with dolphins and sea turtles in the 2nd largest coral reef in the world. Playa (Spanish for beach) Xcacelito is truly one of Tulum’s most secluded and beautiful beaches. You can get there by taking a car or bus toward Playa del Carmen, past the sign for Xel-Ha and taking the first road to the right. Despite the convoluted directions you’ll understand when you’re en route! Take a stroll up the beach and in May through September you can see the Sea Turtles laying eggs. Take something to drink with you because this beach has no facilities. Stay tuned for Where to Eat and Drink in Tulum, Mexico! 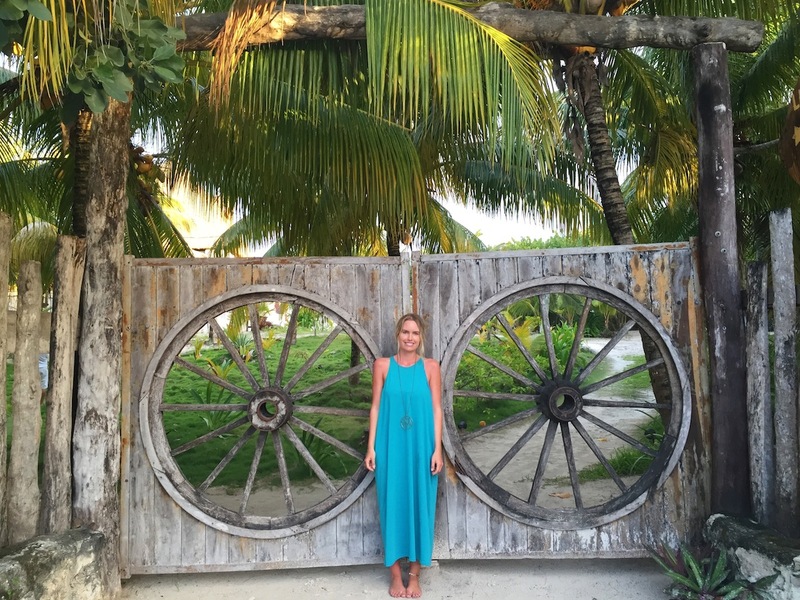 ~~ Stefanie Acworth was a guest of Yucatan Tourism when she traveled to Tulum, Mexico in December 2014. The recommendations in this article are entirely her own.